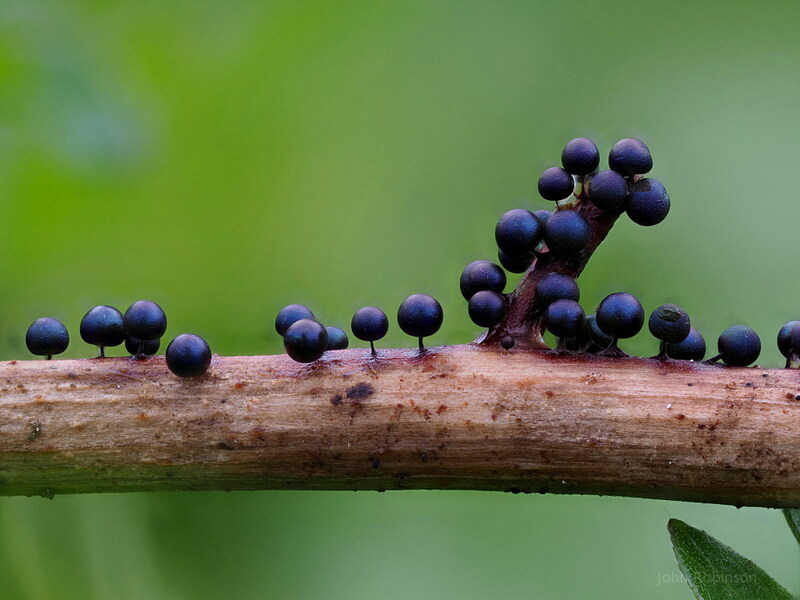 www.photomacrography.net :: View topic - A few nivicolous myxomycetes..
Posted: Sat Apr 21, 2018 11:34 am Post subject: A few nivicolous myxomycetes.. I like this series a lot. What magnification were you using? Thank you very much - I'm glad you like them. It's an easier subject than many of the others in this sections as at least they stay still. These were shot with an Olympus 60mm 2.8 macro/EM5 mkII (focus bracketing approx 100 shots). Most images are cropped centre portions of original images, slightly cleaned. 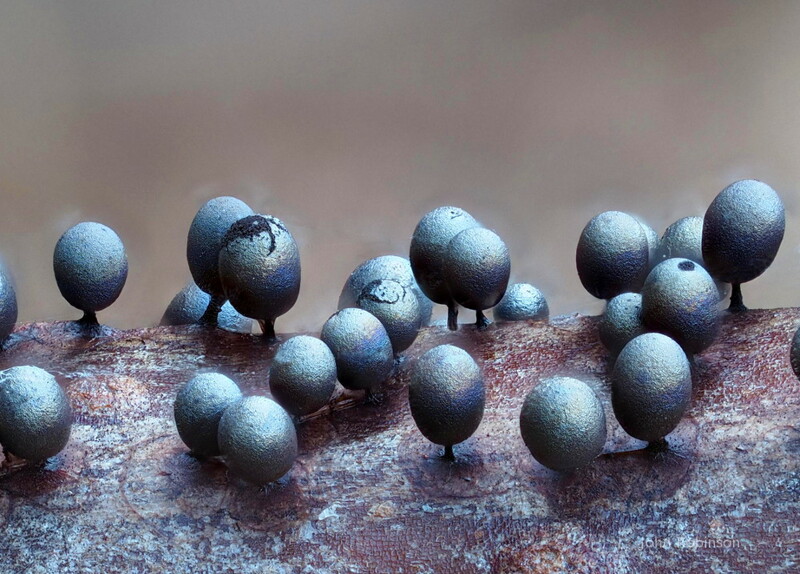 Sporangia are around 2mm tall. This was my first outing with this kit and it is great for the field (once you figure out how to work it!). Thanks to the various members of this group who have kindly provided information on the camera recently. I collected around 100 samples of myxomycetes in a week (yippee! ), so I will be posting some studio work when I have time. These are really beautiful! 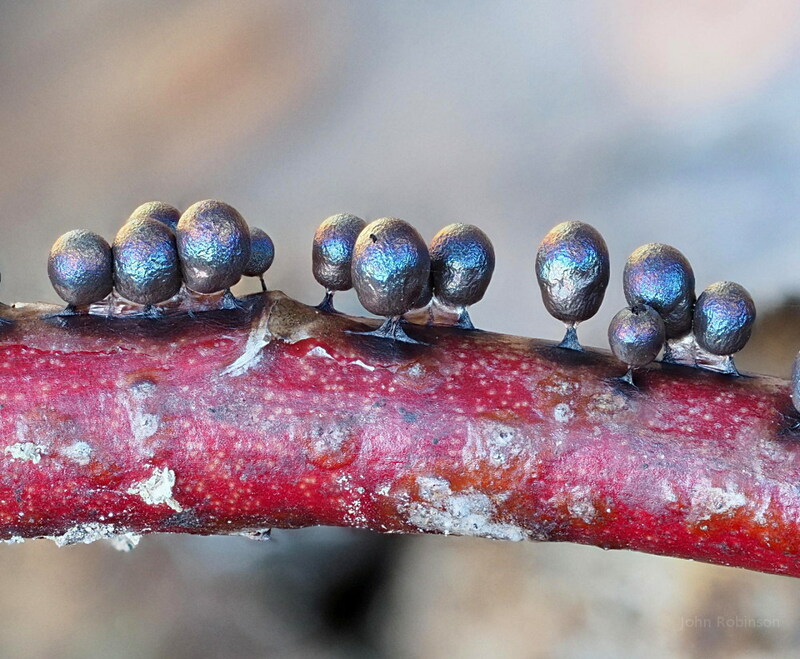 Now I really want to go out and try to find some slime molds to take pictures of. If you are in Sweden and can get to a mountain it is the perfect time of year for nivicolous (or snowline) species. Look very carefully at vegetation around the edge of melting snow at around 1200-1600 m. Check several sites as they are quite unpredicatable but abundant when found. I would be happy to ID any collections you make. If you want to send them to me, I can send you a link with information on how to package them. "Normal" myxos are also available all year round. The "auto stacking" with the Olympus bodies and that lens is amazing. Hi John! 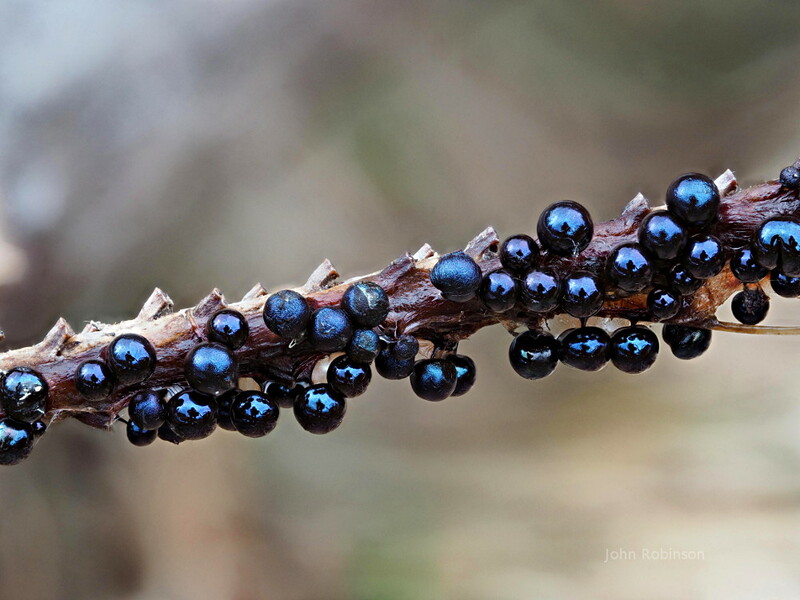 Thanks for the advice, since I am a novice when it comes to finding slime molds. I only recently "decided" I wanted to try and find them, because they are so intriguing. I do not live too close to the mountains so I can't check for them over there, but I will definitely keep my eyes open for them in the woods where I live! Once again, great photos, that second one is just amazing! Thank you Charles and Roel. Here's another one.. probably the same species as the second photo but a less mature version. Like someone selling a mirror on ebay, I can be seen in the middle of every reflection.. I have the same camera as you and recently acquired the same 60mm macro lens. I haven't tried the combination yet and I would very much appreciate it if you could post the camera and lens settings you are using to get the stunning field macro stacks. I should clarify that these are around 100 - 120 images shot in field using "focus bracketing" not stacking. I used the smallest step possible (1 or sometimes 2). Images were stacked in Zerene afterwards.